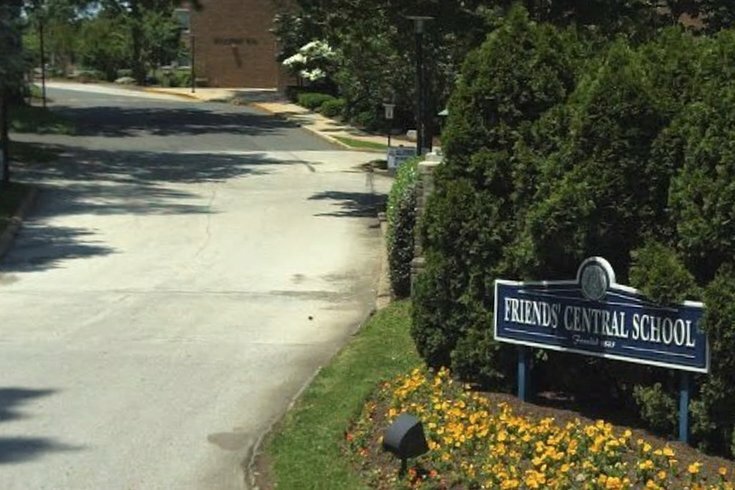 Friends' Central is an independent Quaker school in Wynnewood, Montgomery County, for students in nursery through grade 12. Two former teachers at Friends' Central School are suing the suburban Philadelphia Quaker school, claiming they were wrongfully fired after inviting a Palestinian professor to address students. Ariel Eure and Layla Helwa allege the Quaker school violated their civil rights by suspending and terminating them last year for supporting student protests to permit the Palestinian professor to speak. Additionally, they claim school administrators conducted a smear campaign after they were fired. Eure, of Hanahan, South Carolina, and Helwa, of Philadelphia, filed a federal lawsuit Monday against Friends' Central, headmaster Craig N. Sellers and Board of Trustees clerk Phillip Scott. The civil rights complaint comes nearly one year after the teachers were fired amid a months-long debate over Sa'ed Atshan, a Palestinian professor who had been invited to address a student club known as "Peace and Equality for Palestine" in February 2017. The Wynnewood, Montgomery County school canceled Atshan's appearance after reportedly receiving complaints from several school parents. That prompted student protests against the administration's decision. As club advisers, Eure and Helwa joined, claiming administrators never instructed them otherwise. Following the protests, Eure and Helwa were suspended with pay and subjected to an investigation by an attorney hired by Friends' Central. They were fired on May 9, 2017, but paid through June 30. On the day the teachers were fired, school administrators re-invited Atshan, a Quaker and Swarthmore College professor, to address Friends' Central students. But he declined to appear unless the teachers were re-hired. Eure and Helwa are suing for compensatory and punitive damages exceeding $150,000. They also seek a judgment declaring that Friends' Central violated their rights under the 1964 Civil Rights Act. "My clients are tired of being scapegoated for what Craig Sellers and the administration of Friends' Central did," said Mark Schwartz, a Bryn Mawr attorney representing Eure and Helwa. "This lawsuit involves civil rights claims, defamation claims, false light claims and claims that Mr. Sellers should not have been kept on the job at the school. In no way does this school, under his tenure, approximate a Quaker school." A Friends' Central spokeswoman referred PhillyVoice to the school's lawyer, David Fryman, of the Ballard Spahr firm in Philadelphia. Fryman did not immediately respond to a request for comment. Eure, a gay African-American woman, and Helwa, a gay Muslim woman of Egyptian and Puerto Rican descent, allege that Friends' Central did not treat them in the same way as their white counterparts. The lawsuit claims their "suspension, firing and retaliation were in no way comparable to the transgressions of others who happened to be white; employees who clearly ignored directives and were never placed on administrative leave, let alone fired and publicly maligned." The lawsuit alleges that a faculty member who protested attending graduation – a requirement for all faculty members – received no punishment greater than a conversation with Sellers. Another faculty member allegedly was not disciplined despite repeatedly refusing to attend diversity-centered staff meetings. Additionally, Eure and Helwa claim Sellers defamed them in statements given to the news media and letters presented to parents, allegedly using them as scapegoats for his own decision to cancel Atshan's speaking engagement. The lawsuit points to several statements, including one in which Sellers claimed, "There are very real concerns about the conduct of Ariel Eure and Layla Helwa for their disregard of our guiding testimonies, which include community peace and integrity." Several news outlets printed that statement. The lawsuit claims Scott "blackened" the former teachers' reputations by releasing a public statement following the completion of the school's investigation into discrimination and harassment claims brought by Eure and Helwa. The statement noted the process of evaluating the teachers' employment status would remain confidential. But the lawsuit alleges it "was anything but" confidential. "If there were any true concern with confidentiality, there would have been no release or comment whatsoever," the lawsuit states. The lawsuit also claims that the Friends' Central Board of Trustees was negligent in its supervision of Sellers, permitting him to discriminate and defame Eure and Helwa.